The machine is engineered for inline cleaning of external surfaces of Small diameter pipes, LPG cylinders, Round billets, rods, bars & rebars. The machine is simple to operate with minimum maintenance and the operator has to simply load and unload the cylindrical shape on rotating diabolic rollers. 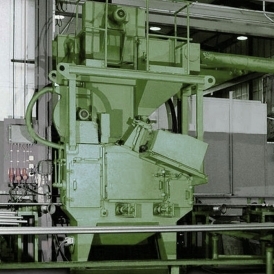 The steel shots are used as blast cleaning media. The external surfaces of cylinders are required to be blast cleaned to remove rust, corrosion and prepare the surface for possible thermal coating and painting. The machines are highly productive and featured with diabolic roller arrangement, 2 high speed blasting wheels, shot recovery and cleaning system, dry dust collection unit and control panels. The machine is suited for continuous work. The rods are placed on motorized diabolic roller arrangement, which moves the cylinders forward as well as rotates inside the blast chamber. The cylinders are exposed to the shot stream through the twin blast wheel assembly for blast cleaning. 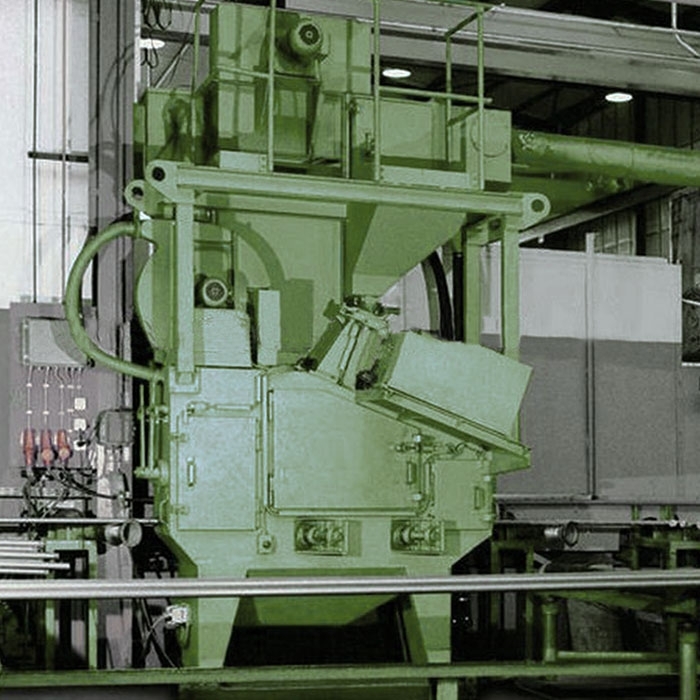 The dust created during blasting is separated and collected in fabric bag dust collectors. Clean air is discharged in the atmosphere.